Zayn Malik shocked fans on Saturday when he apologised for being a 's**t person' in a now-deleted tweet. But the 26-year-old singer has now reassured his concerned fans that he's doing OK, taking to Twitter once again on Sunday night to share an update about his mental health. While the former One Direction singer insisted he was 'currently happy', he confessed he 'could be happier'. The Pillow Talk hitmaker's loyal supporters were quick to respond, sending him lots of love and prayers, with some joking they were more confused than ever. 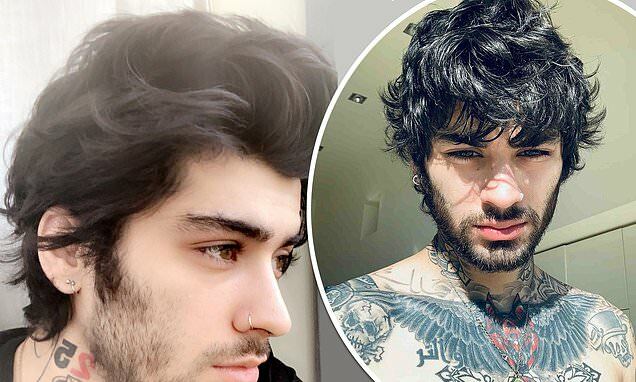 Zayn initially took to his Twitter platform on Saturday with the message: 'I'd like [to] apologise for basically being a s**t person' - which raked in more than 14,000 retweets before he swiftly removed all traces of it. While the root of his message is unclear, it comes after his former 1D bandmate Louis Tomlinson admitted their friendship has soured since he left the band in 2015. Speaking recently on Dan Wootton's podcast, Louis told how they kept in touch for a while following Zayn's departure. However, he admitted that it 'bugged' him that Zayn didn't show up for his X Factor performance in 2016, shortly after the death of his mother Johannah Deakin.